In the summer of 2012 I was lucky enough to visit the beautiful island of Oahu, and it was an amazing experience. Hawaii has a lot to offer, particularly if you enjoy the outdoors, beautiful beaches, and scenic drives. With a week on the island, I was able to squeeze in 5 hikes between other activates including kayaking, snorkeling, and cliff diving. The list below includes 5 hikes that I completed while in Oahu, and a bonus one that I’d like to try on my next trip to the island. Whether you’re an avid hiker or beginner, these trails are all very fun and beautiful. I personally recommend any of the 5 trails to other hikers, so be sure to add them to your list when planning a trip to Oahu. 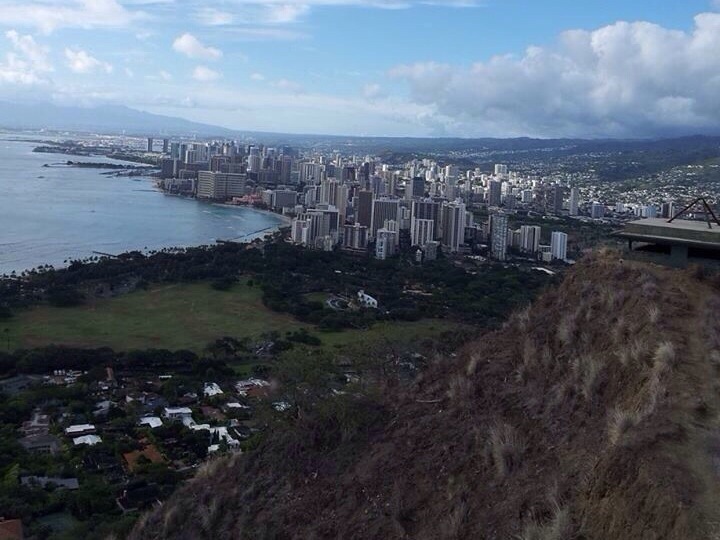 The Diamond Head Crater trail is one the most popular hikes on the island of Oahu. The summit offers a beautiful view of Honolulu and the surrounding areas. The hike itself is quite short, but the climb to the top gets very steep. Be prepared to climb up a few staircases and bring plenty of water, as this trail can get pretty warm. There is a $5 per car, or a $1 per pedestrian charge to enter the Diamond Head State Monument where the trail begins. 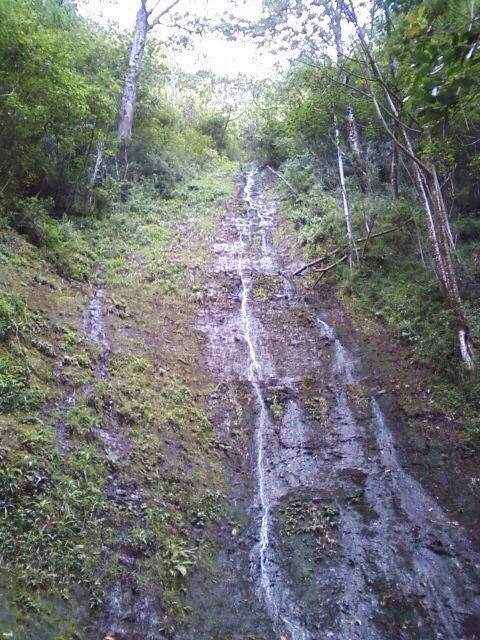 Manoa Falls Trail is a wet and muddy hike through the Manoa rainforest to a 150-foot (46 meter) waterfall. The hike is not too strenuous but be sure to wear hiking shoes, as the ground does get slippery. Sandals are definitely not recommended. Parking is available near the trailhead for a small fee, or you can try to find free parking in the surrounding neighborhood. As with any hike through a rainforest be sure to wear plenty of bug repellant if you want to come out alive! 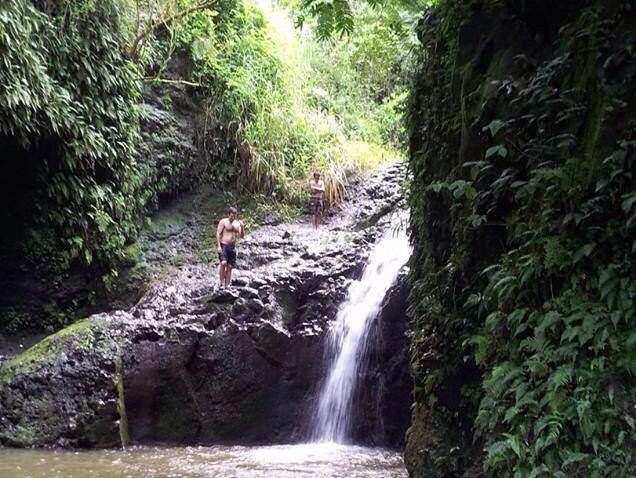 If you’re ready for another muddy hike, check out Maunawili Falls. The trail leads you through the rainforest, to the top of a lush green valley, and back into the forest where you’ll reach a beautiful waterfall and swimming hole. If you’re not afraid, feel free to jump off the cliff or take a swim in the chilly water. The only parking for this hike is in the nearby neighborhood. This trail is longer then Manoa Falls and the Exclusive Waterfall Hike, but it was actually my favorite waterfall hike of the trip. 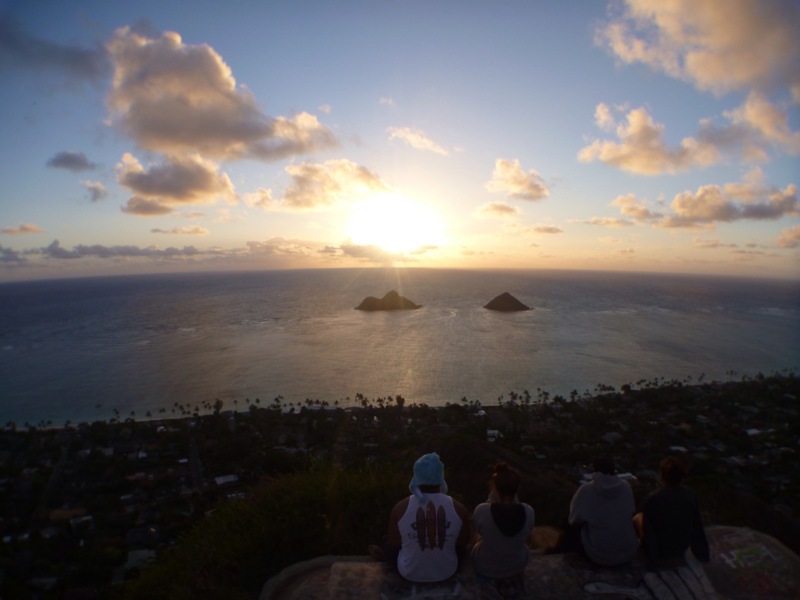 Located on the east side of Oahu, the Pillbox Trail offers a stunning view overlooking the ocean, Mokulual Bird Sanctuaries, and the surrounding cities. The short trail leads up a ridge to a few abandoned World War II bunkers where you can sit and take in the view. I suggest waking up early and hiking this trail before dawn to catch the sunrise, just remember to bring a flashlight and a light jacket. Parking along the road near the trailhead is plentiful, and the most difficult part of this trail is waking up early. The last hike I did was part of a package tour with Bike Hawaii. 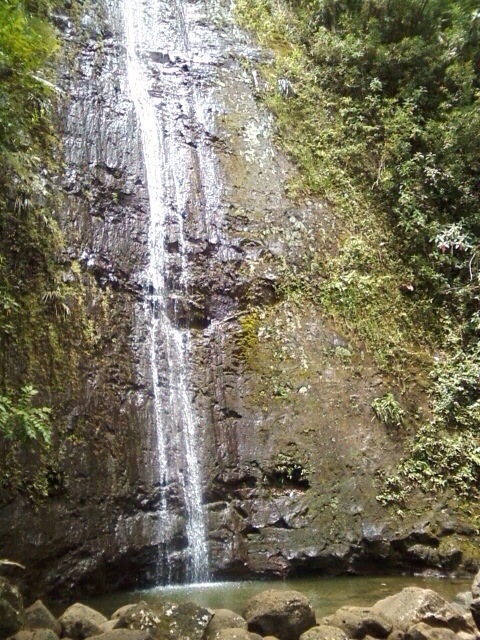 The guided hike leads through the rainforest to a private 200-foot (61 meter) waterfall in the Manoa Valley. Along the way, our guide shared information about the rainforest’s vegetation, which made this a very interesting hike. The trail and waterfall are both quite similar to Manoa Falls, but if your plans for Oahu also include snorkeling and bike riding, I recommend their package tour because it offers a great full day excursion with transpiration and lunch for around $150. In every hikers’ life, there’s always that one trail that got away, and the Stairway to Heaven is mine. I unfortunately ran out of time on the island and didn’t get a chance to try this hike, but I hear it’s one of the most amazing on the island. 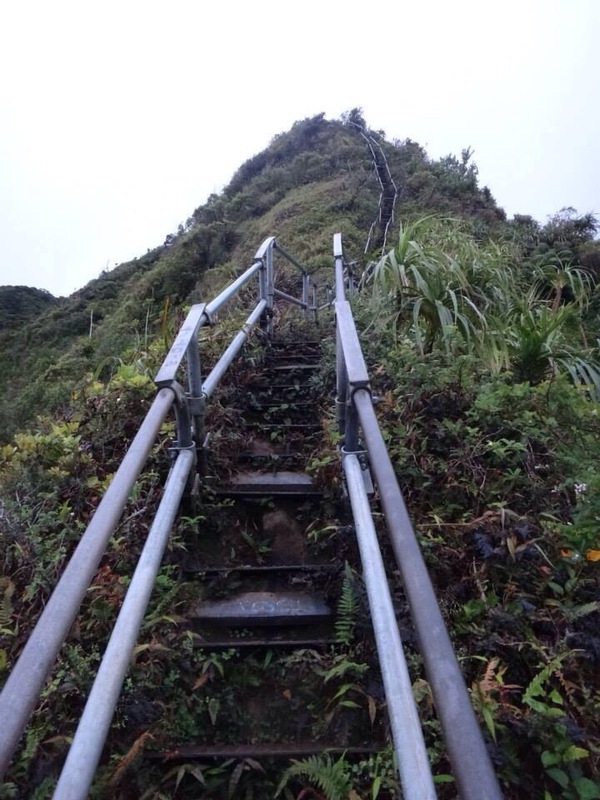 The Haiku Stairs trail takes you along a ridge in the Ko’olau Mountain Range and up some very steep staircases to the summit. This is an advanced trail, and technically illegal, but if you’re up for the adventure, I hear the view is worth it.